So, your neighbour is making money by publishing videos on YouTube. You think it’s a cool way to make a living. Do you want to quit your boring day job too and do something that you love. I respect that. Doing what you love and finding a way to make money from it is, one of the best things that can happen to you. You open a channel, make some videos, and hit a wall. How do YouTube channels make money? Are the ads you see before a video play the only way? YouTubers aka the people who make YouTube videos for a living, take it as a business, and not a hobby. This is what separates them from the herd. This is what makes them professionals. Many of them are making more than people make in their day jobs. Today, I will share ways in which YouTube channels make money. Let’s begin. This is the most popular way of making money on YouTube. 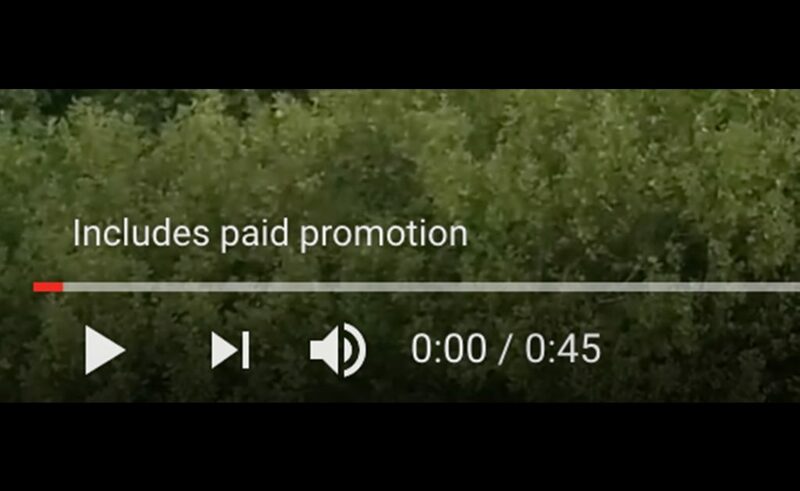 In general, Advertisers pay money to Google/YouTube for the rights to show an advertisement before (or during) a video. Google takes a cut of the revenue, and the YouTuber earns the rest. The current split is 55-45, meaning, if the advertiser spend $100 worth of advertising against a YouTube channel, Google keeps $45 for providing platform and the partner’s share is $55. The ad rate is calculated on per 1000 views basis and while the rates can fluctuate widely based on the popularity of the topic and niche, you can expect it to be anywhere about $1 to as high as $5. I tried calculating how much money do average YouTubers make using the public data and my experience, the numbers came down to somewhat $1.6 for 1000 ads impression. As you can see $1.6 (CPM) isn’t an impressive deal considering the kind of effort and resources that go into producing videos. This is why many YouTubers look for alternative source of income once they cross 100,000 subs. So, let’s check them out. 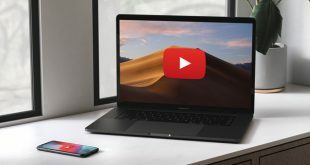 Video sponsorship is the second most popular way to make money on YouTube. In fact, for many popular YouTubers (those who have 500k subscriber or more) the majority of earnings come from sponsored content, with AdSense being a nice bonus. The idea is simple. Once a YouTube channel has a decent following, companies directly approach the creator, instead of going through Google. This way the companies get their target audience and YouTubers can earn more revenue. Sponsored content usually come as a small video mention of the brand in the beginning or the end of the video. For instance, you might have heard YouTubers saying – this video is sponsored by SquareSpace or thanks to dbrand for sponsoring our video etc. This is an example of a sponsored content. Sometimes brands ask the creators to make a complete video featuring their product. A good example of sponsored content can be found on Linux Tech Tips. They are successfully doing 10-15 sec sponsored mention in every video for past few years and so far it’s well received by their audience. 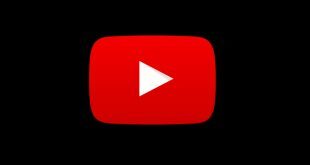 If you have a YouTube channel but the companies are not approaching you for sponsored content, you can also pitch them your idea using platforms like FameBit and Grapevine. You need 5000 subscribers to join FameBit which was recently acquired by Google. For Grapevine, the requirement is 10,000 subscribers. This video by the former explains it better than I ever can. Unlike Adsense, it’s hard to find out how much a YouTube channel make from sponsored content as it depends on number of factors. But from my experience, and the data available on FameBit website, if a YouTube channel has 150k – 300k subscribers, they can ask for $100 or $200 for a sponsored mention or $400 – $500 for a dedicated video. Again, this could vary a lot. YouTube Red is Google’s way of saying, Netflix, I am coming after you. Though, on a serious note, YouTube Red is a $10 monthly subscription service from YouTube that removes advertisements from all videos, allow background playback in the YouTube app and few other added features. Currently, YouTube Red is only available in the US, Australia, New Zealand, Korea and Mexico. So, if majority of your subscribers don’t come from this demographic, don’t bother. However, if majority of your audience has a YouTube Red subscription, you’ll see a separate earning report in your YouTube analytics dashboard. Also, in future, if you turn out to become a big YouTube creator with millions of subscribers, YouTuber might approach you, to make YouTube Red original content (kind of like Netflix original shows). My two favourite YouTube Red original content are – “Mind Field” from the creator of Vsauce and MatPat’s GAME LAB” form the creator of The Game Theorists channel, MatPat. Since there are only a few dozen of YouTube creators who qualify to make YouTube Red original content, It’s hard to tell how much money one can makes out of it. But since, YouTube is investing millions of dollars into Red originals, it’s safe to assume a hefty amount. When you are streaming live on YouTube, you will see an option called Super Chat. This will allow your fans to chat directly with you in real time by tipping you a small amount. The more your audience pay, the longer the comment gets pinned. Overall, If you are planning to live stream a lot, Super Chat could be one motivator for you. The amount is usually not much but could cover some basic expenses for you. You would’ve noticed that many YouTubers sell merchandise to supplement their income. This is a great way to not only add another stream of income but also connect with your fans and followers on a different and a more personal level. You can sell tees, accessories, mobile covers, books, CDs, etc. depending on the theme and niche you are targeting. It goes without saying, that you need huge loyal subscribers who are ready to buy your stuff. Though, once you have formed a good community, you can expect somewhere around 1% conversion rate at leat. So assuming, you get 100,000 views in each video, and you decided to sell t-shirt every month with a modest $10 profit margin, you can expect a revenue of $1000. Off course, this is just a rough estimate. The actual numbers could be way bigger than this. YouTubers, like Dan and Phil, have their own store where they direct their users via YouTube videos. 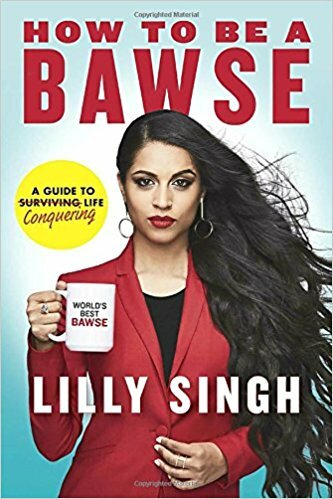 Another good example is Lily Singh from ||Superwoman||, her new book “How to Be a Bawse” (yes, that’s how she like to spell “boss”) has sold hundreds and thousands of copies. And last time I checked its review on Amazon, people loved it. Using affiliate links are more common in tech and lifestyle genre, but nearly every YouTube channel does it at some point. For instance, Marques Brownlee (MKBHD) adds Amazon affiliate links of the product he’s reviewing in that video. Another popular Affiliate marketing example is Audible, which we often promote on the TechWiser YouTube channel. Your earnings out of affiliate marketing varies on what type of product you are selling. For a physical product like smartphone or camera the commission rate is 4-5% of the cost of the product, while for softwares it can go as high as 30% or even $100 if it’s a web hosting recommendation. The good thing about affiliate marketing is that it’s not just Amazon, but almost every single brand or company has some sort of affiliate program. If you are using a product and feel confident recommend it to your audience, simply make a high quality review on it and place its affiliate link in video description. If people buy through, you make a small cut. If you can get audience from YouTube search, you don’t even need a big YouTube channel to start making money from Affiliate marketing. Patreon is another popular option to make money from YouTube, especially, if you have a loyal following and are comfortable to talk about revenues with your Audience. You may have seen many YouTubers asking their followers to be their patrons. The way it works is pretty simple, you create a Patreon account and announce the same to your audience in the end of the video. Your audience can choose to pledge a few dollars and up at different membership levels for your efforts each month or upload. In return, you might great an exclusive rewards for fans like behind the scenes, video mention etc. The first person that comes to my mind when I think of Patreon is the popular YouTuber – Philip DeFranco. While it’s hard to tell how much he makes out of Patreon (the data is not public) it’s good to see, he’s backed by more than 13,000 people, assuming that most of them contribute as low as $1 or $5, he could be easily making at least $50,000 just from Patreon. Another popular YouTuber (and also my favourite) who relies on Patreon is NerdWriter. 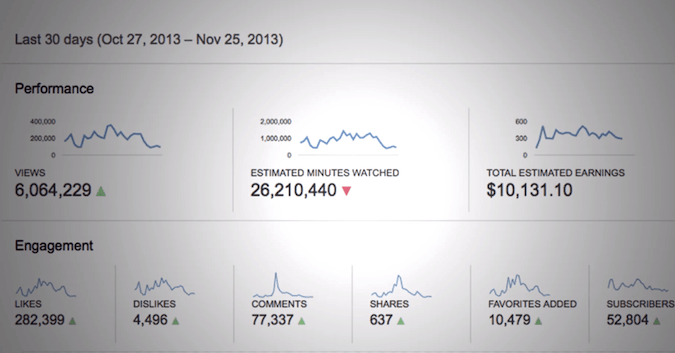 As of writing this post, NerdWriter who create video essays on YouTube make $3635 per video. On average he publish 2-3 videos a month, so the final amount comes down to $5000 to $7000. That’s actually quite good. Licensing your content to news outlets and other big creators might not be for everyone. But say if one of your videos goes viral (Charlie bit my finger) then, you can license your content in exchange for money. Or if you record plenty of raw vlogs that has a potential to be used by bigger media outlets, then you can sign up for Jukin Media. It’s a media licensing brokerage site that will allow you to license your video to media outlets. This will happen if your video has gone viral on the web, like on social media. Depending on your content, a relevant media outlet will approach you. Being a YouTuber means you have to be good at creating and editing videos, write content and stories, perform, do voiceovers and so on. These are useful skills that are in great demand. You can find people who are looking for these skills on platforms like Freelancer and Fiverr. There may be others but these two should get you started. Many YouTube channels promote brands on social media either by posting a picture of their product on Instagram or tweeting about their event on twitter. This is usually followed by a #ads hashtag in the end. You need to have a couple of hundred thousands if not million followers on social media to get this opportunity though. Making money on YouTube is not easy. But then again, one should never consider YouTube as a business. The ROI isn’t great for the amount of efforts and resources one needs to put in their YouTube channel. However, YouTube is great place to build a brand. If you are willing, hard working, don’t mind working extra hours, and are creative, you can make a name for yourself out there. The greatest reward is not the money you’ll earn, but the satisfaction you’ll receive by doing what you always wanted to do. I believe the best way to make money on YouTube is to first build your brand and then sell brand merchandise. A good example would be – Lily Singh from the channel ||Superwoman||. This way, you not only generate revenue from the sale of merchandise but those merchandise further help you build a stronger brand. That said, I’m not a big fan of Patreon. Not only do some people consider it akin to charity but it’s also not a reliable source in long term. P.S – I wrote this article with the help of Mrinal Saha, founder of TechWiser and a prolific YouTuber himself. He has spilled all the beans, so make the most of it. Share your YouTube channels in the comment below with your story.